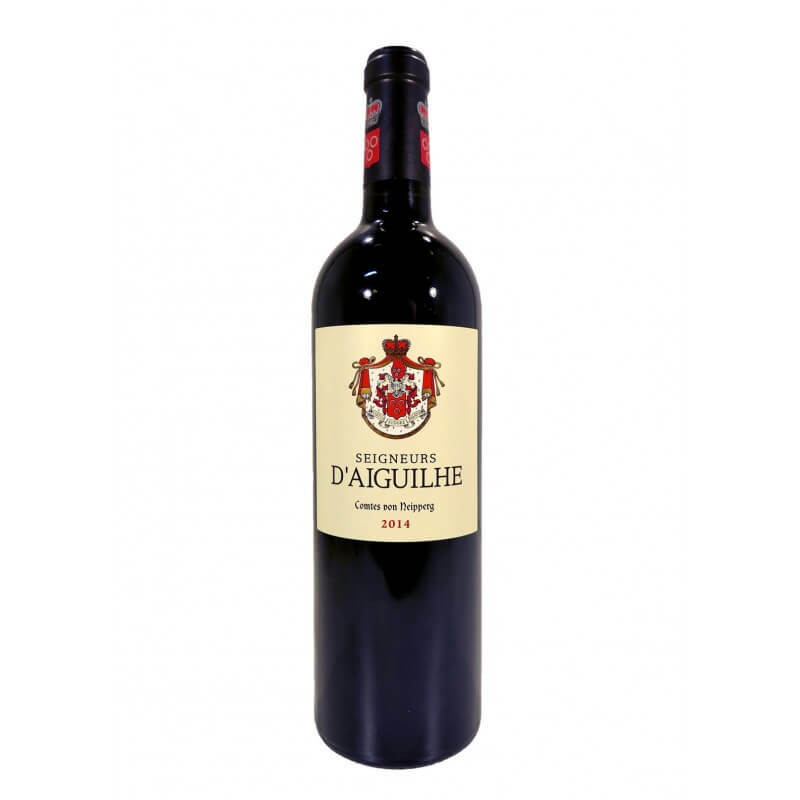 This is the second wine of the star of the appellation Chateau d'Aiguilhe. Proprietor Stephen von Neipperg is also responsible for the great wines of Canon-la-Gaffeliere, Clor L'Oratoire and the super luxury “Garage wine” La Mondotte. It is a red wine that combines power and finesse. Produced on a beautiful clay, limestone soil of mostly Merlot and Cabernet Franc. This blend is supple, rich, inviting and one of the Best Values in Bordeaux.